BUENOS AIRES | OK, so in the past I’ve posted two items on the brutalist architecture that’s such a feature of this city. That’s not the only architectural brutalism going on though. 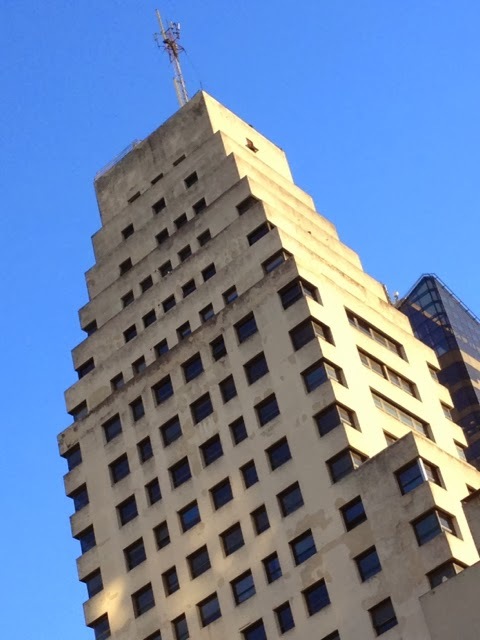 Buenos Aires is famous for its Art Deco, and it’s been interesting to notice how brutal that is as well. The Deco style is often thought of as residing to a great extent in the ornamentation, but in my mind it’s also about massing, and BA is full of these extremely austere, unornamented, but extremely deco shapes. The most famous iteration of this is the Kavanaugh building, apparently one of the earliest skyscrapers.